My cute personalized passport cover thanks to Tiffy! Checked out Terminal 2 cafe just at the lobby of XYZ wing. So I snapped a few photos and we headed to check out other food places. The porridge smelled amazing, so we decided to get a bowl to share… Teh & Chicken Porridge. Honestly the porridge was so-so, it was the fried onion that made it smell heavenly and taste good! Then it was time for buffet lunch!!! You can pay to view further… but I didn’t la. Haha. Here’s one of me after a few takes. But as you can see, I can’t seem to take on with one hand only… I need more practice. Haha. We went just shortly after Easter, so it was Easter themed! The Dress Up Corner where we changed into our jackets and shoes. Here’s one with the group before going in! The plan was to take 5-10 min before it was open to public, to snap some photos before we can have fun after! Photos and cameras are not allowed (except for media) inside Snow World as they have professional photographers inside and will charge you for photos, should you want. They have ice sculptures too. With sis outside the Igloo house! 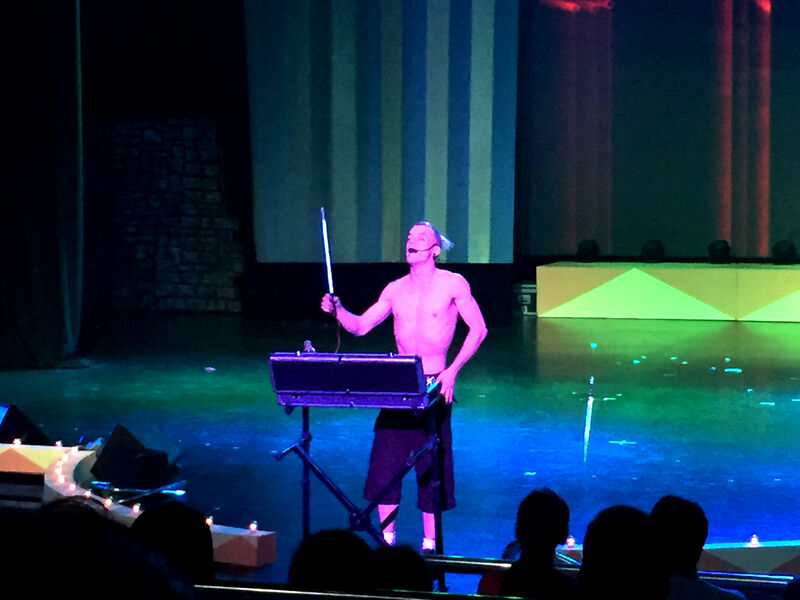 After Snow World, we went to catch the Fearless Magic Show, which I’ve already covered in the previous post. After the show, we had dinner at Bubbles & Bites! The name Bubbles & Bites originates from the fact that the restaurant serves simple western food with an exquisite list of drinks―including sparkling wines imported from such countries as Italy, Spain and France. Hence the word“Bubbles.” True to its name, Bubbles & Bites makes the perfect chillout place for effervescent young people, families and all others who believe great food and good ambience go hand in hand. Let’s check out the place! I like how it has an open concept, it’s like dining in a European cafe along the streets except it’s indoors, haha. Here’s the view from the stairs to the mezzanine level for VIP seating. A lovely feature wall, with presumably names of Italian dishes. Our VIP and private spot at Bubbles & Bites! 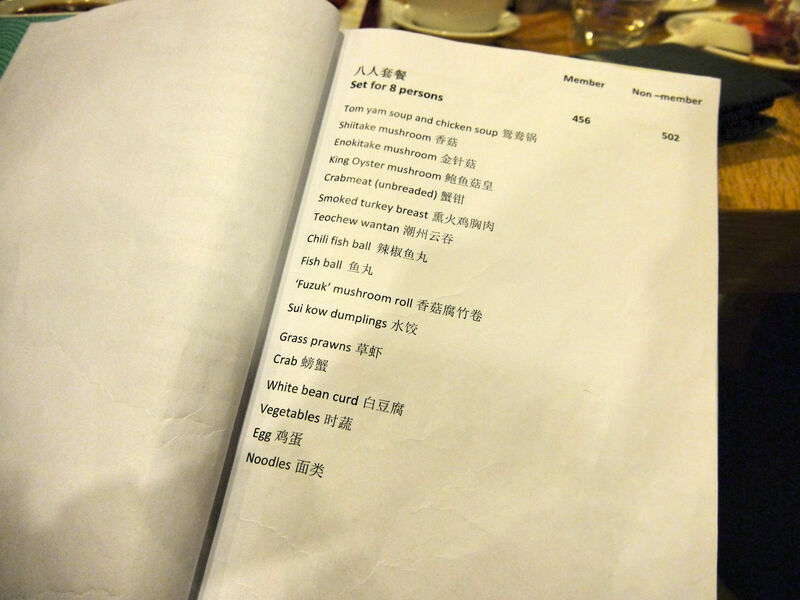 The menu, sorry it’s a little dark, basically you have choices from Pizzas, Pasta and Meat. Refreshing Blackcurrent with apple base juice. With Salad. My favourite rocket leaves. My favourite dish, Chicken Schnitzel, it’s crispy on the outside and tender inside. Love! Spaghetti Bolognese. Carbonara Pizza. Lam Lee Burger, tastes like a restaurant version of Ramly burger. Ethiopian Chicken, as its name goes, it tastes like curry chicken from Africa. One of the recommended / popular dishes. Oblong Margherita Pizza. Kampung Chicken. Old Angus Beef T-Bone Steak. Old Angus Beef T-Bone Steak. This was pretty good! Overall the food at Bubbles & Bites were of great value with prices from RM29 for Ethiopian Chicken to RM75 for the Old Angus Beef Steak. I highly recommend the Grilled Salmon Tagliatelle & Cremosa Pesto (RM33) & Chicken Schnitzel (RM29). After dinner, Eric arranged for us to feast on Gelatos! The server reallyyy packed in a ton of Gelatos for us in this bowl. We went with Hazenut, Mango, Chocolate and Blood Orange flavors. 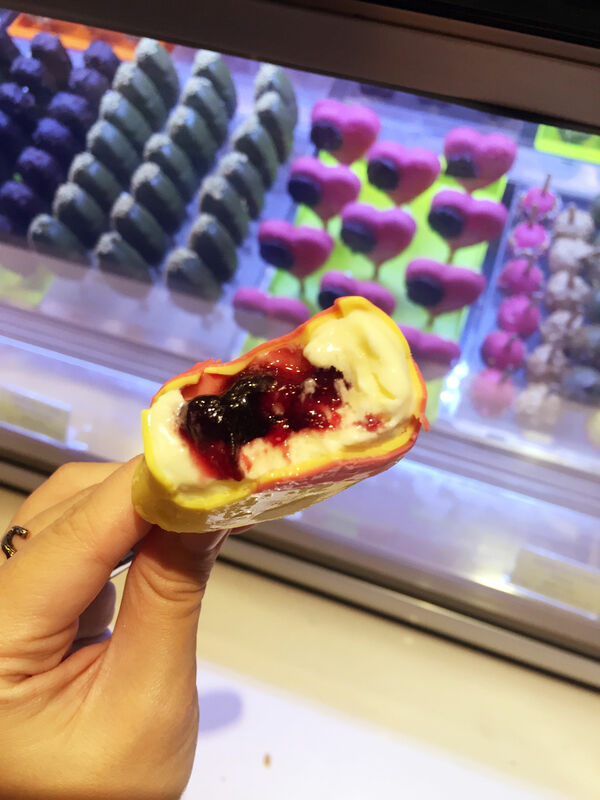 After desserts, we had free and easy time… My sis and went walking around the Plaza Square, there was a Japanese fair going on… It was inspired by the hanami/pink blossoms season. 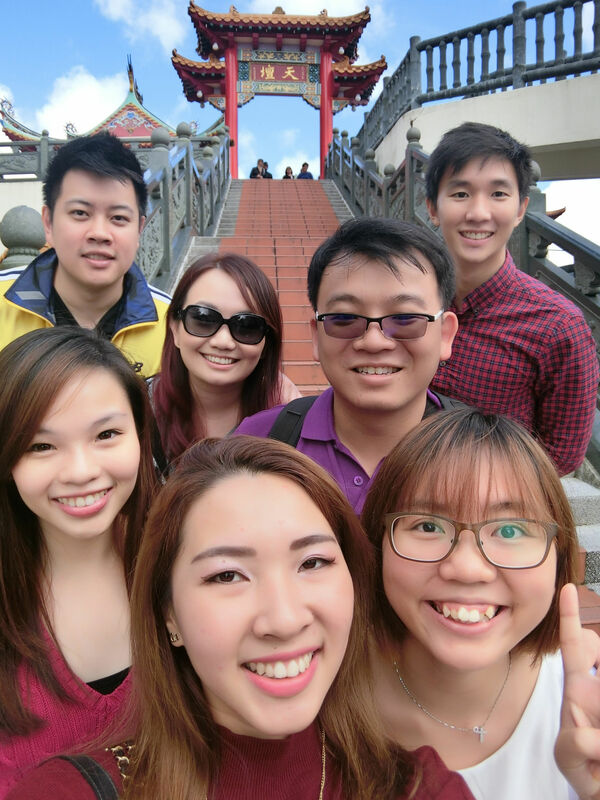 After some shopping, we joined William, Leong, Gerald, Lenice and Jocelyn at K Studio for some Karaoke! It’s located at level 4, above Nike Factory Store: Oops, I didn’t snap a pic of the room / hour rates HAHA. I thought this was it. T_T I think it’s about RM80 per hour. We all had a lot of fun singing both chinese and english songs, I did wish the walls weren’t so thin / better cushioned as we could totally hear what the next room was singing! LOL. After the K-session, sis and I headed back to our room to rest! It was 3am by the time we prepped for bed and slept. Striped Top / Dress from Motel Rocks, Revolve. Skirt from Stradivarius, Bag and Shoes from Steve Madden. My sis looking all fine and grand with her Starbucks coffee fix! HAHA. The Food Factory is a brand new dining concept located at 3rd Floor First World Plaza. It is a 23,568 sq ft opened kitchen concept restaurant that can accommodate 1300 diners. 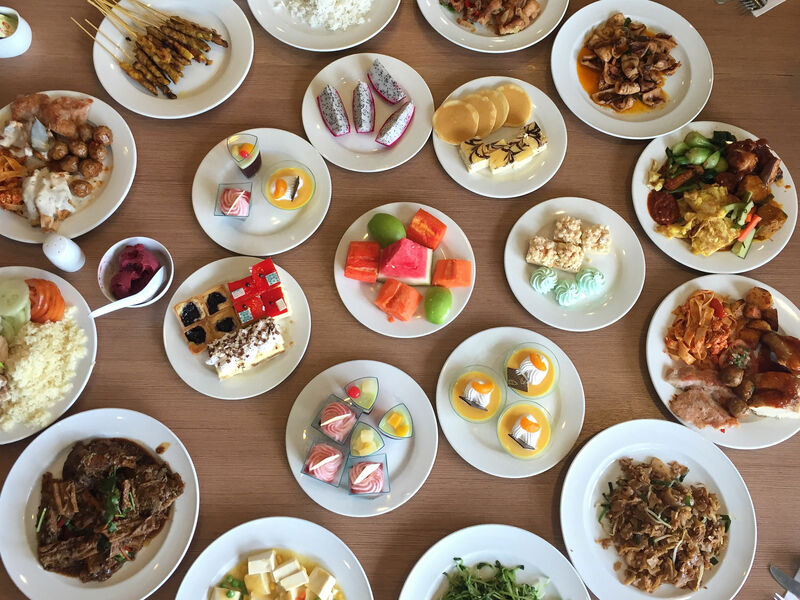 The restaurant serves a delightful range of breakfast offering from 4 different counters ie: West Asian, East Asian, Western and pastry from 6.00am to 11.00am daily at only RM 29.00 nett (adult) and RM 14.50 nett (child). The chef says the machines make it possible to serve up to 2,000 people at one time. 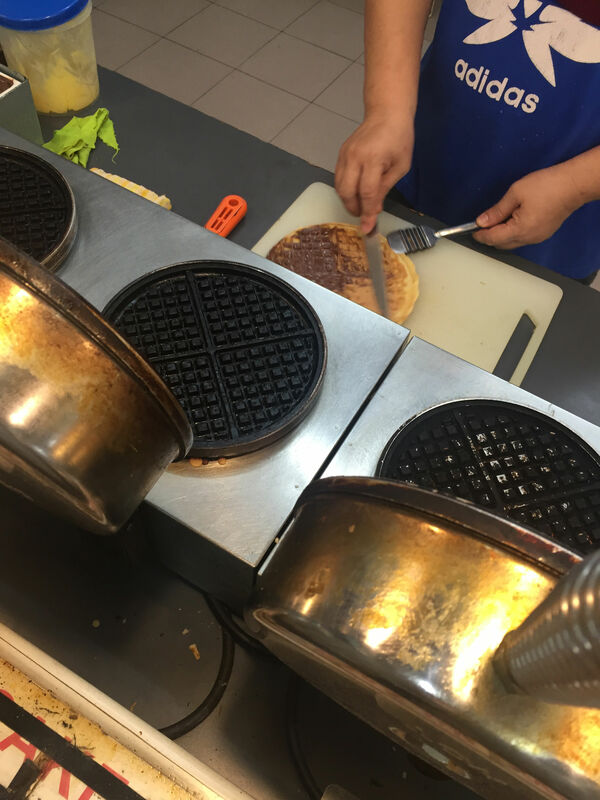 The pancake machine, for instance, can make up to 200 pieces of pancakes in approximately 30 minutes. Using the machine saves time and energy. More interesting fun facts: Making pancakes for 2,000 people requires 7.2 kg of flour, 13 eggs and 7.2 liter of milk! Among other choices offered are varieties of freshly Baked Breads and Local Buns, Danishes, Pancakes, Cereals, Nasi Lemak, Idli, Dhokla, Putu Mayam, Pita Bread, Paratha, Congee and Condiments, assorted pau, Juice, Coffee & Tea. Pizza lovers will also enjoy freshly baked pizza from our large pizza conveyor such as Pizza with Tomato Sauce and Cheese and Vegetarian Pizza with Mushroom. At East Asian Counter, you may find favourite local delicacies such as Fish Ball Noodle Soup or Curry Noodle Soup, Fried Carrot with XO Sauce, Grilled or Deep-fried Yam Roll, Deep-fried Cheese Roll or Chee Cheong Fun, Fried Loh See Fun or Fried Yee Mee, Chinese Soup and Dim Sum too. 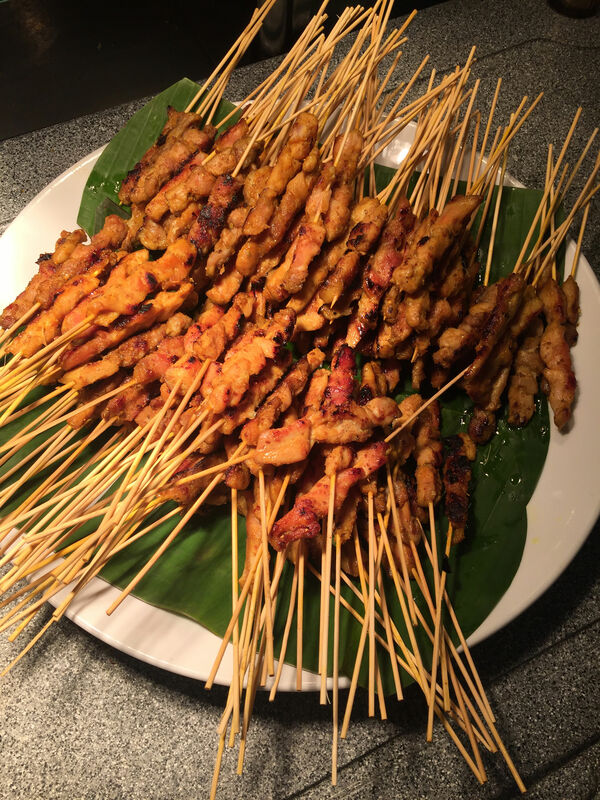 At West Asian Counter, wide varieties of local cuisines such as assorted Malay and Nyonya Kuih, Nasi Lemak with condiments, Potatoes Samosa, Vegetables Pakoras, Tandoori Chicken, Fish Head Curry, Ayam Masak Merah, Chicken and Lamb Skewer to Roti Jala or Grill Seafood. For light snackers, you may also want to enjoy some finger food such as Margherita Pizza, Chicken Ham Pizza, Toasted Bread with Kaya and Butter or even Fried Banana or Sweet Potatoes. With the group after a hearty and full breakfast! 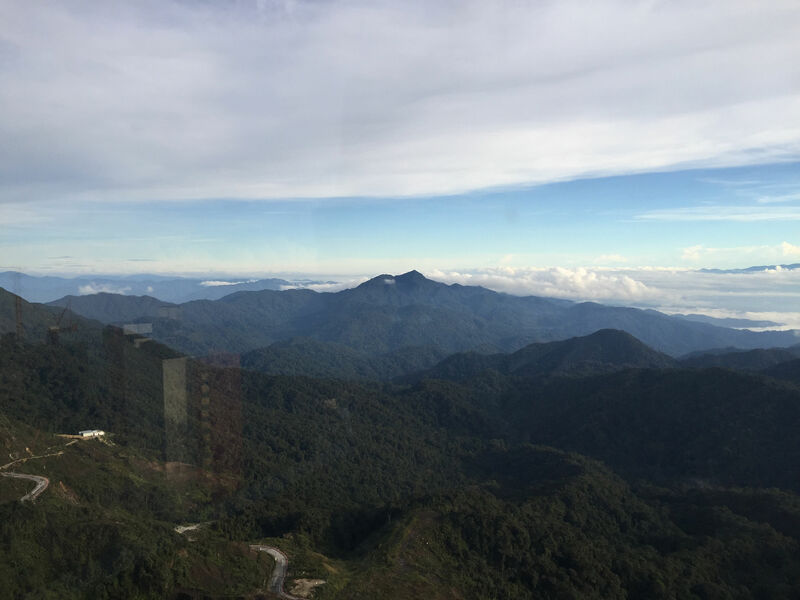 Do check out my previous trip post here if you haven’t, I’d love to go back and visit the scenic temple surroundings, they do have the best view in Genting after all! There’s going to be so many exciting developments taking place in Genting! A new premium outlet mall is slated to open in mid 2016. 20th Century Fox Theme Park which will be completed in phases, will open by the end 2016. And that’s not it! 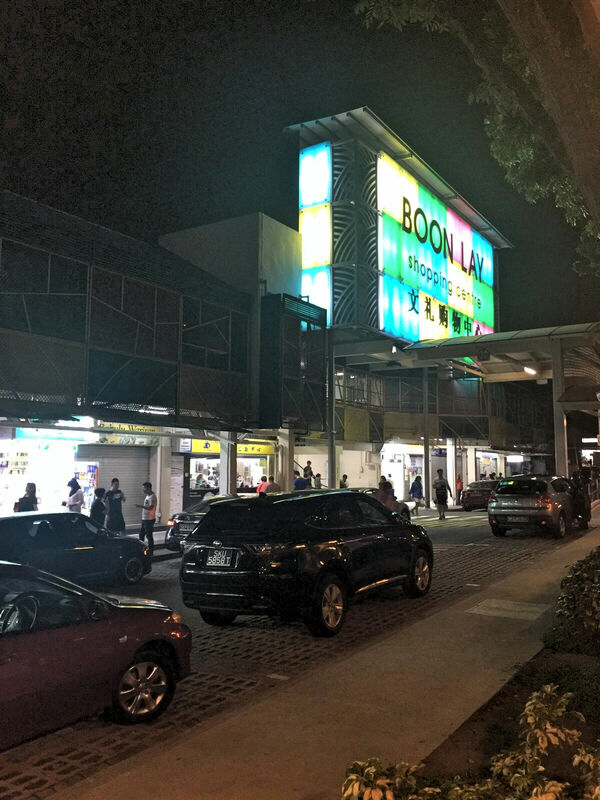 There’ll also be a Sky Avenue Mall, Sky Plaza & a new cable car system which will connect First World Hotel & the new premium outlet mall. Which only means we totally have to go and check it out when they’re open!!! 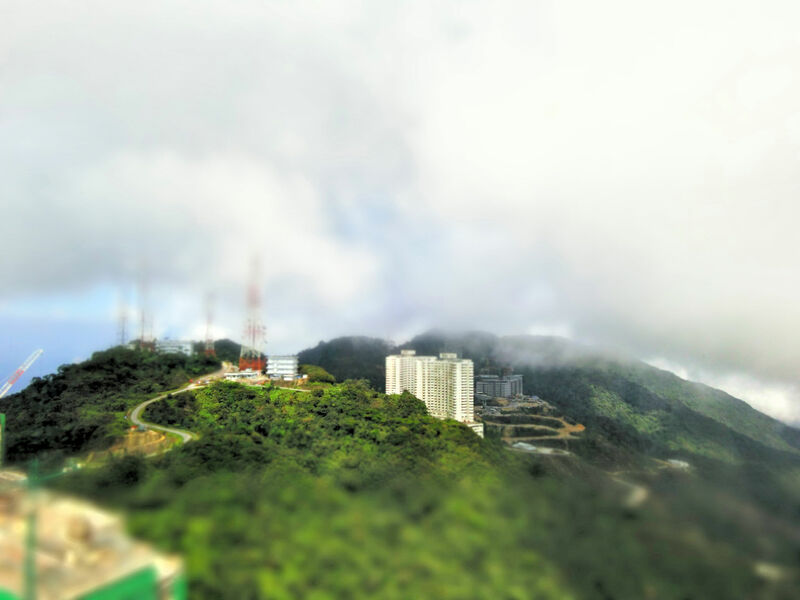 By then, spending 1 weekend at Genting will not be enough, you’ll need at least 3 days or more. In the meanwhile, read on and find out what we did during our recent trip, so you can get some ideas if you’re planning to head down soon! There are a few coach providers, we travelled with The One. I must say that their buses (to and fro) and bus drivers were very good, so I would recommend them. Bus tickets are about S$80-90 for round trip. We took the night coach which departed at 10pm and we reached Genting around 4.30am. 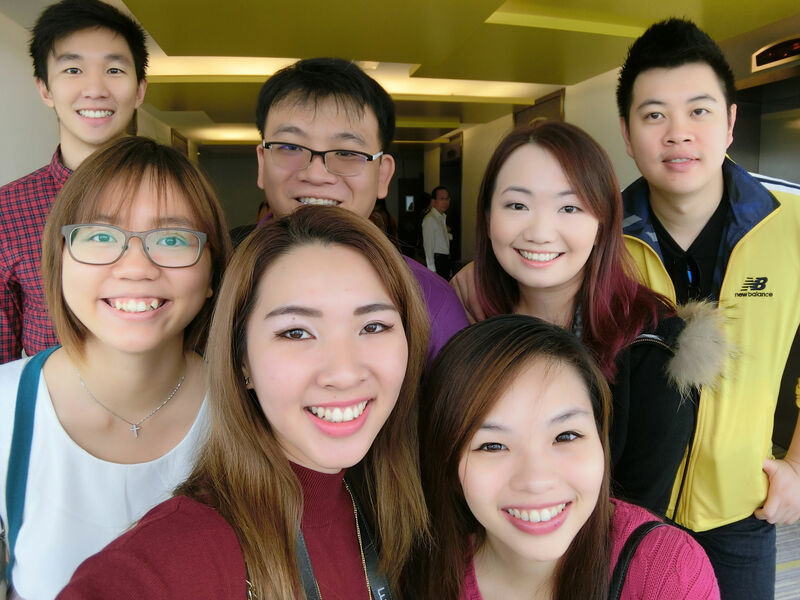 We were welcomed by the RWGenting team when we reached Genting and were directed to our hotel rooms at the newest wing, aka Tower 3, XYZ deluxe rooms. Here’s how the lobby looks like! Terminal 2 cafe located at the ground floor of Tower 3. Plenty of seating spaces at Tower 3 lobby. I like the modern graphic interior design & use of fresh colours. Even more spaces, yes it’s a huge lobby, but even then I think it’s still not as big as the main First World Hotel lobby. Automatic check out stations. 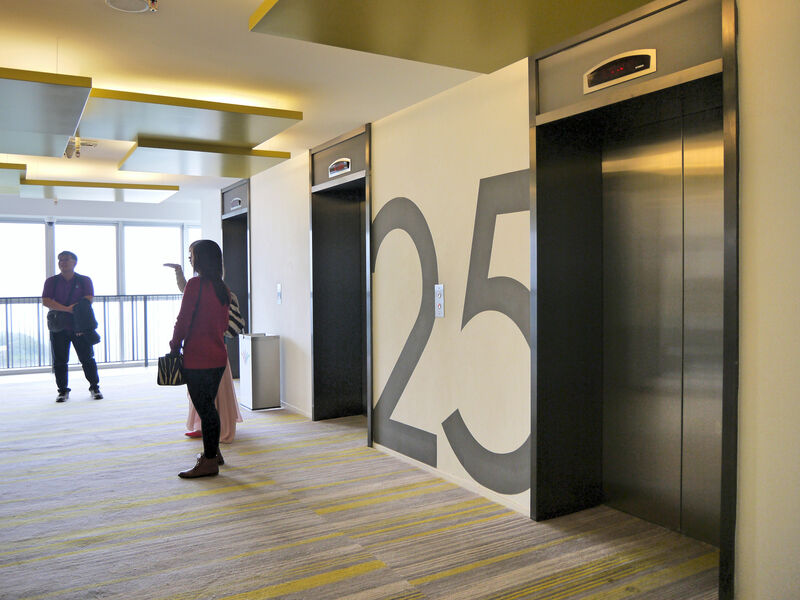 Our rooms are located on the 25th floor. Even though there are 6 lifts, it still takes a long time (15min) for the lift to reach our floor especially during peak hours from 10-11am, which is around check out timing. So plan your time in advance to give allowance for the lifts. 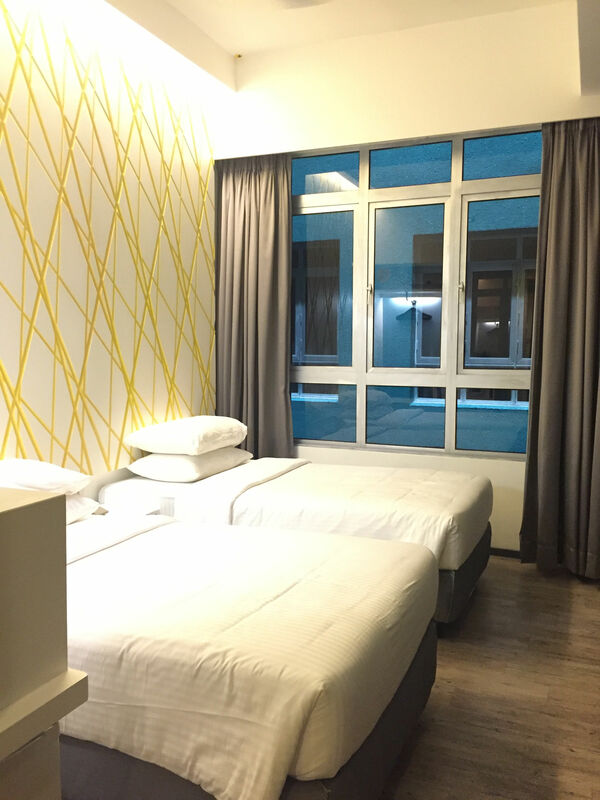 🙂 Our XYZ Deluxe Room! I like the modern, simple yet chic interior design and the comfy bed & linens. However there’s no wifi in the rooms. 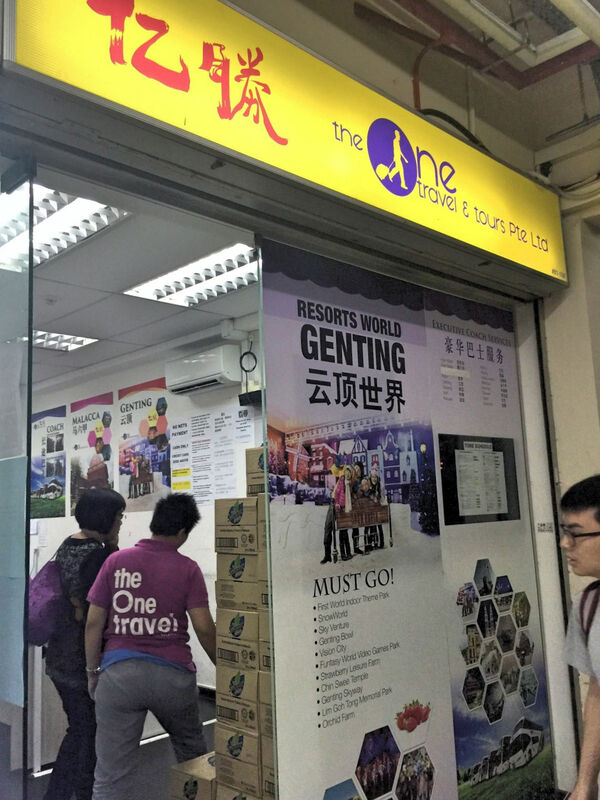 A quick check with the RWGenting team reveals that they have already feedback to the management but it is still not confirmed if and when wifi will be provided in the rooms. If you need wifi, it is available at the lobby, as well as at cafes like Starbucks & The Bakery. You should also bring your own toiletries (toothbrush, toothpaste, shampoo) as they are not provided for. Should you forget, you can also buy from stores like Watsons nearby. After a few more hours of rest, we got ready for our brunch! 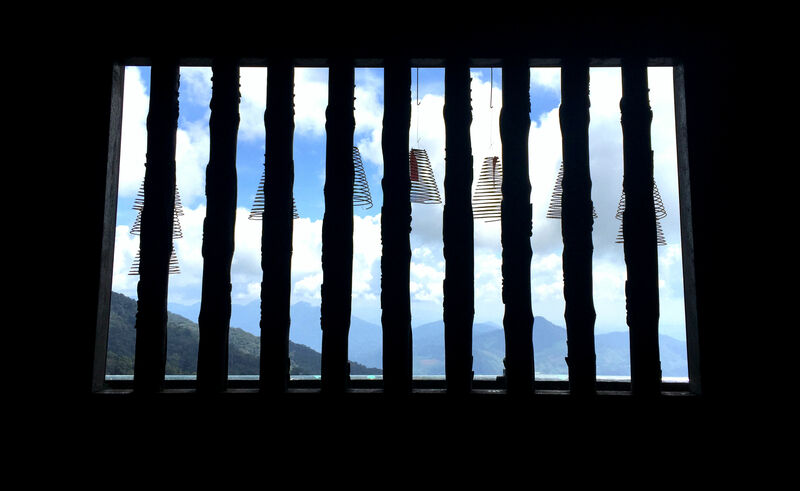 Here’s the morning view from our #25 floor lift lobby. Am using the miniature lens effect of Casio TR60 camera. 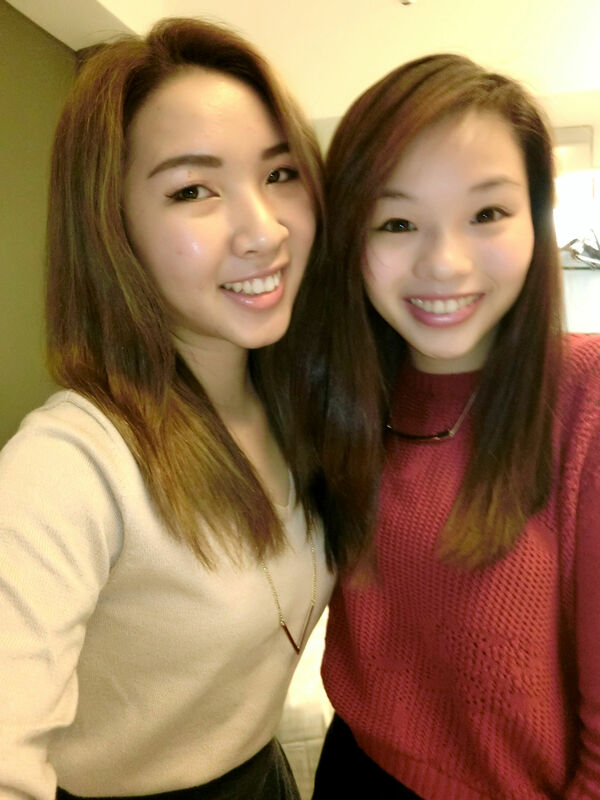 With bestie Fion on our first trip together! ^^ With the local bloggers & friends~ Visit what Chiu Yen have to say about the Genting trip here and Eileen’s post here! We started our day with brunch at Coffee Terrace, for their lunch buffet. We were allowed in earlier than the public crowd (yay to media perks!). 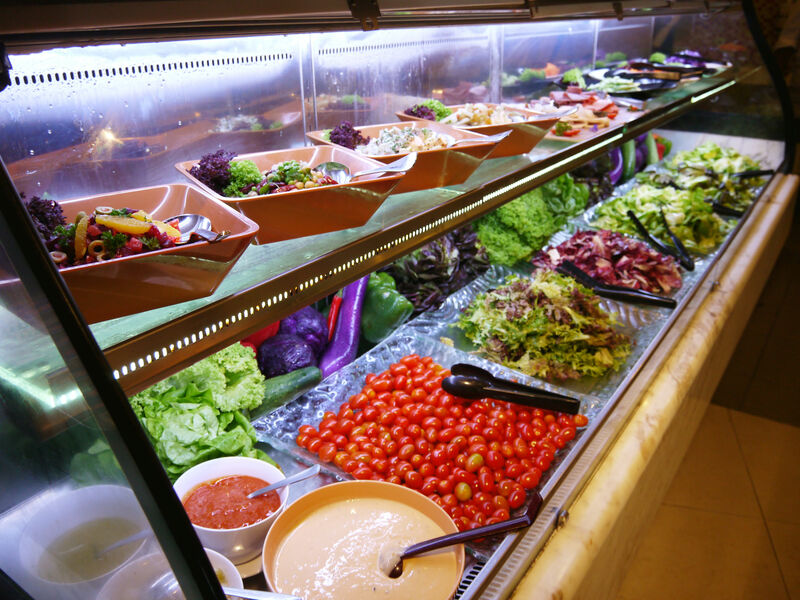 At the Coffee Terrace, you can savour dishes from the Local, Flavors of Malaysia, Chinese, Western, Japanese & Western Asian counters (Last two counters opens only for dinners). 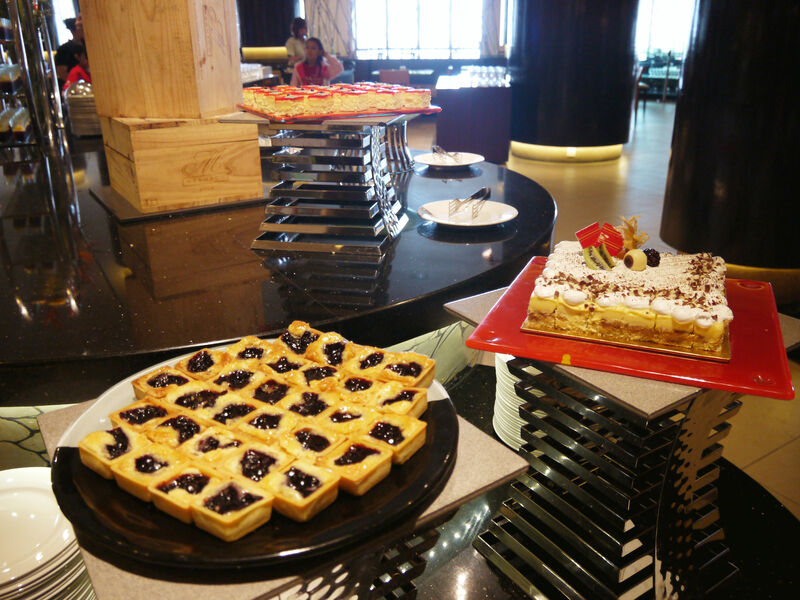 There are also very good varieties of appetizer, salads and desserts on the buffet spread. The delicious spread of food on our bloggers table! We decided that we will each take food from the various counters and combine them on the table. 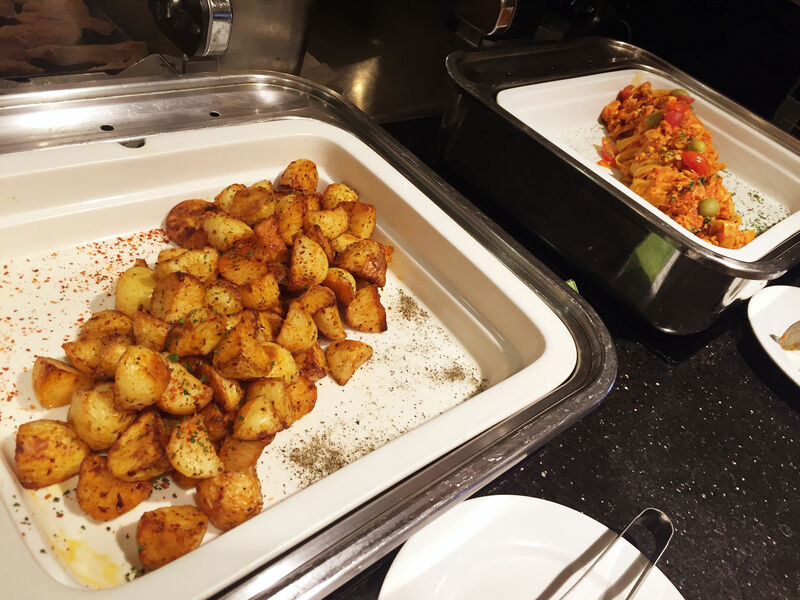 This fantastic idea was suggested by Chiu Yen, who has a lot of buffet experience! Most of us were full from this spread, we didn’t have to go for round 2… Well, only except to get ice cream! 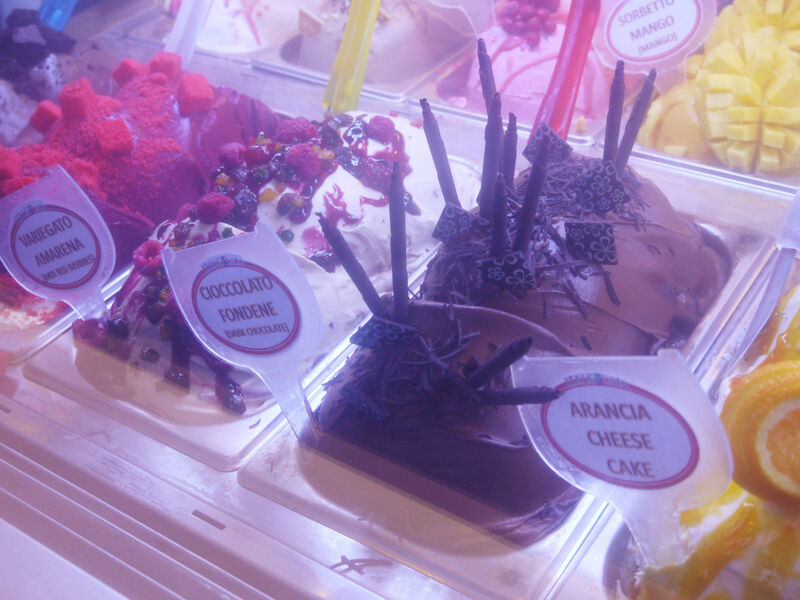 : Ice cream and sorbets in chocolate, raspberry, blueberry, strawberry, orange and lemon flavours. It’s hard to decide, but my favorites are the lemon & blueberry flavours. Buffet dining with a view! 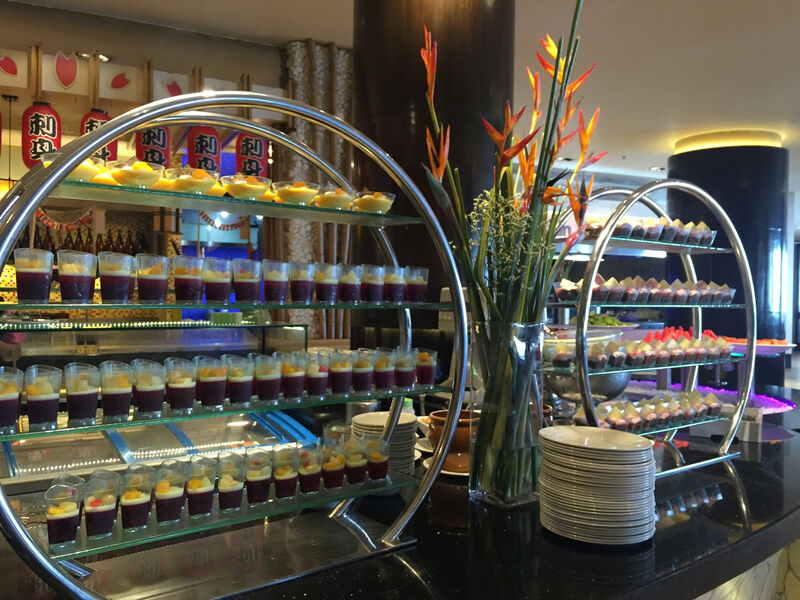 Love what you see at the Coffee Terrace buffet spread? 😉 The quality & variety of food is great and definitely value for money. I personally really like the local food, char kway teow, chicken rice and the desserts are nice too. 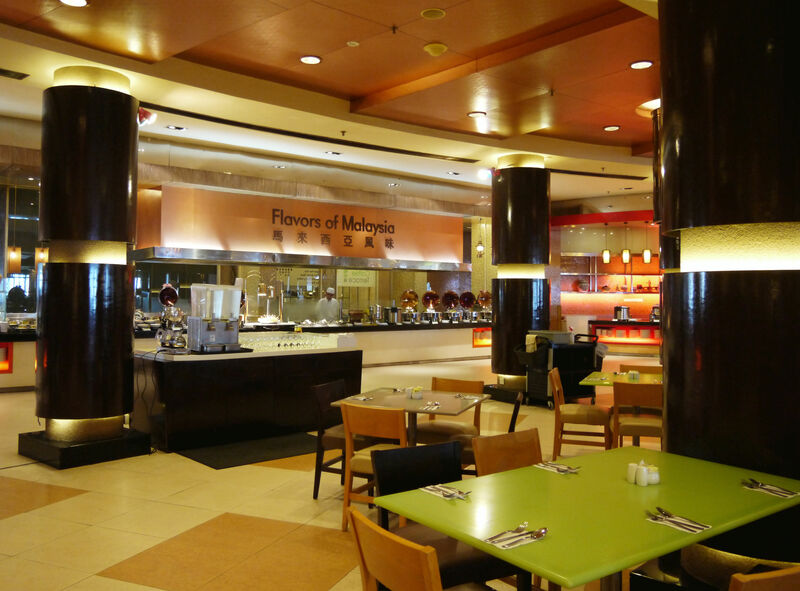 I’d recommend this spot for buffet lunch if you’re visiting Genting! For promotions & more information, visit their official site here. 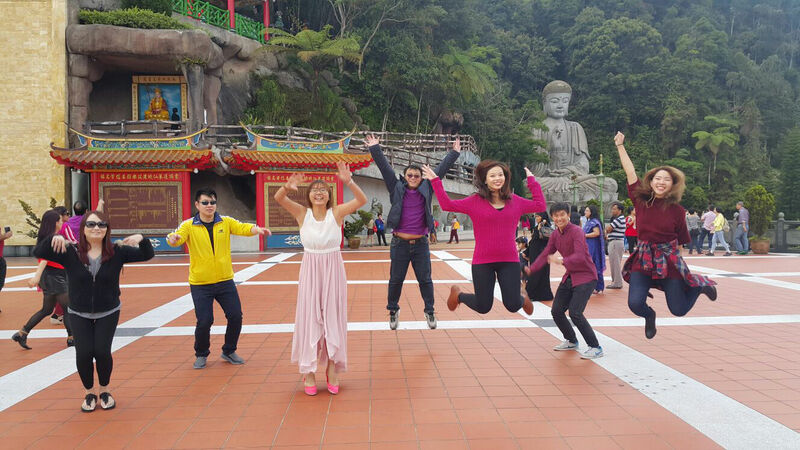 After a very hearty lunch buffet, we headed to Chin Swee Caves Temple. 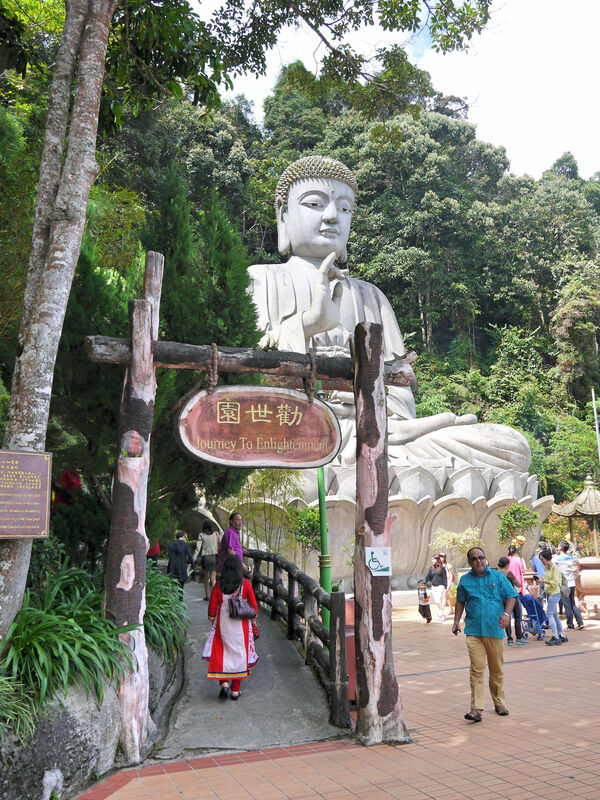 The Chin Swee Caves Temple is situated in the most scenic site of Genting Highlands. 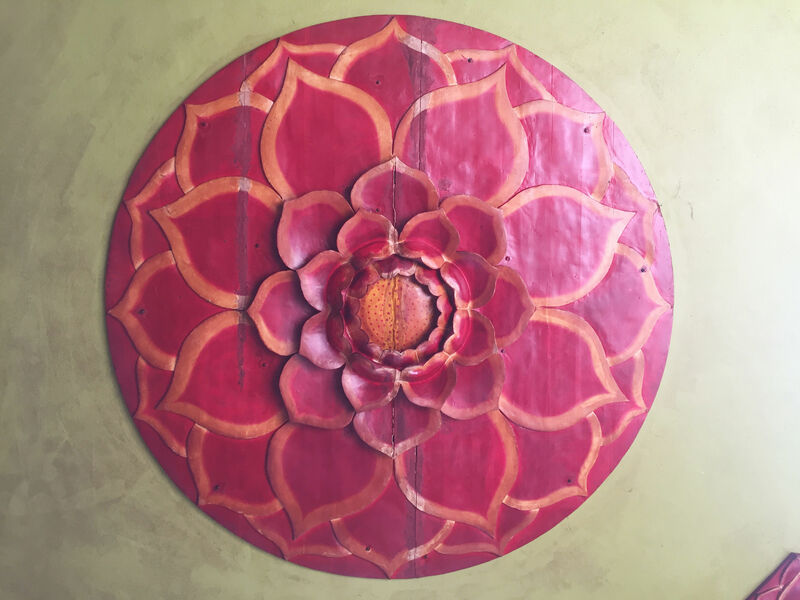 Even if you are not a devotee, like myself, you will still enjoy this cultural experience. 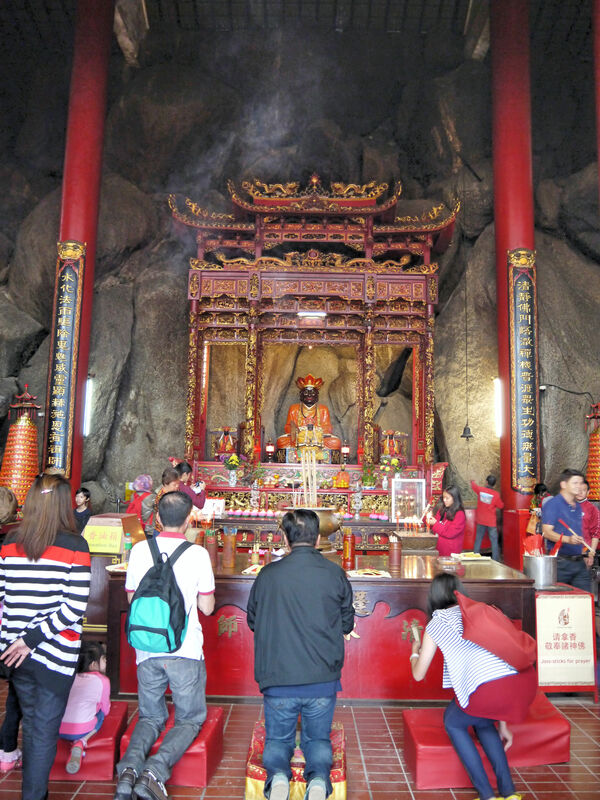 Within the temple is the statue of Reverend Master Chin Swee, who is also referred to as a deity in Fujian Province for his supernatural abilities to summon rain and drive away evil spirits. Located 4,600 feet above sea level, the temple is about 5-10 minutes drive down from the peak of the mountain. The temple attracts many local and foreign devotees as well as tourists. Irene explaining the history of Chin Swee Cave Temple. 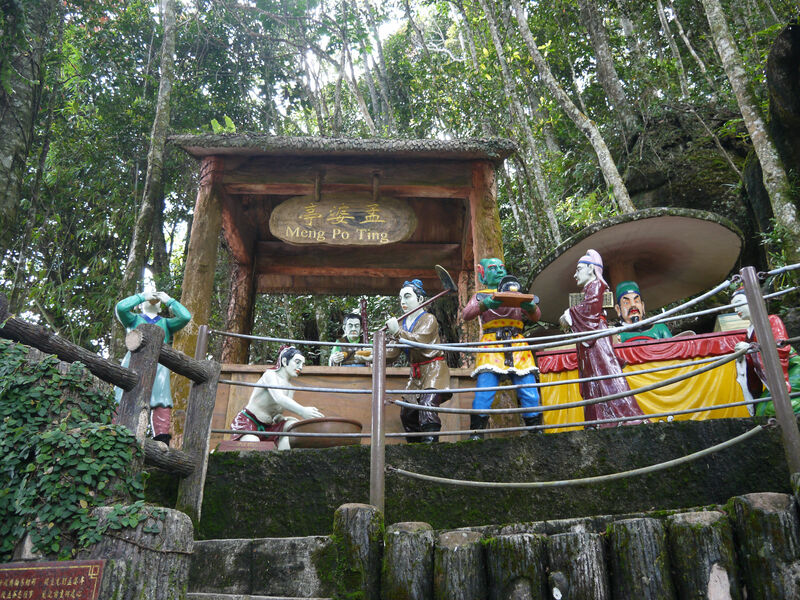 The story goes that the Genting Group founder Tan Sri Dato Seri (Dr) Lim Goh Tong had a dream while visiting the area and Reverend Master Chin Swee aka Chin Swee Deity appeared in his dream and blessed him, so Dato Lim donated this plot of land and built the Chin Swee Temple. Also, the face of Deity Chin Swee is black because he fought the evil spirits and escaped but resulted with a black face. 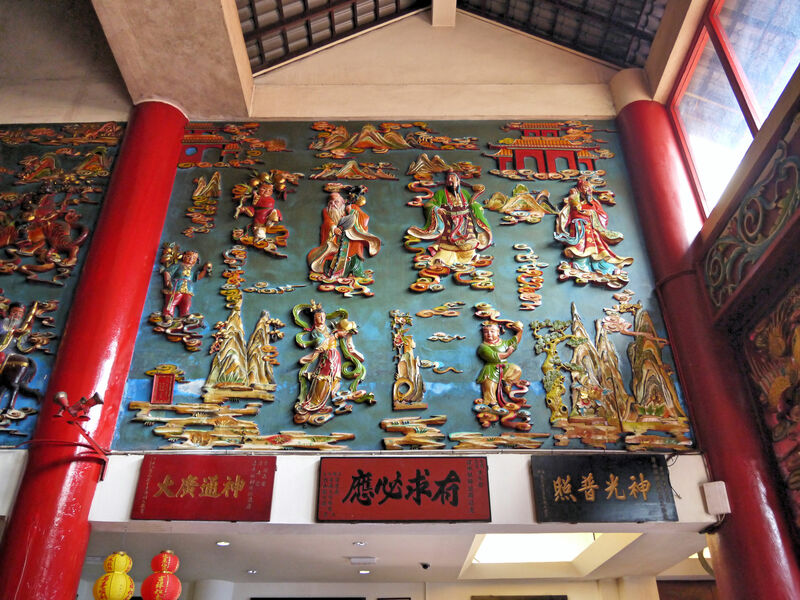 The temple’s relief wall and pillar art works are very beautiful and intricate. 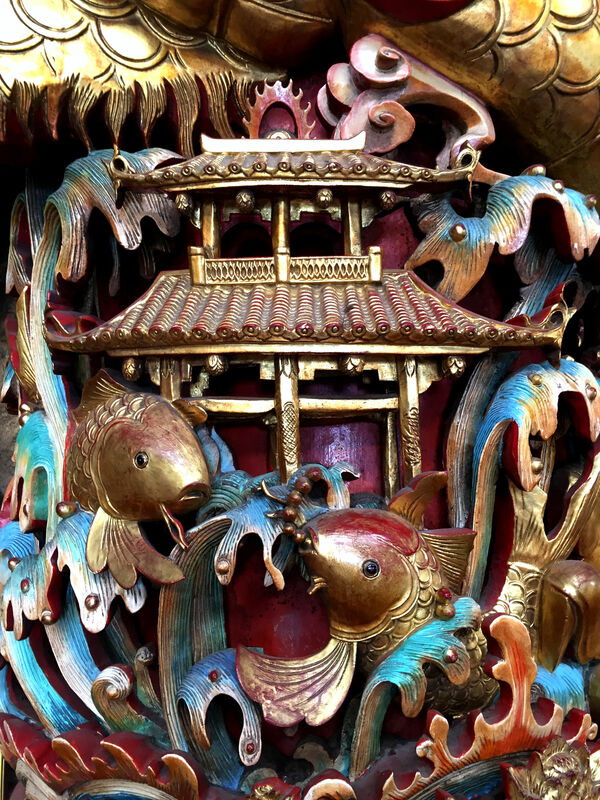 They display high levels of craftmanship and artistry. Gorgeous view of the mountains. 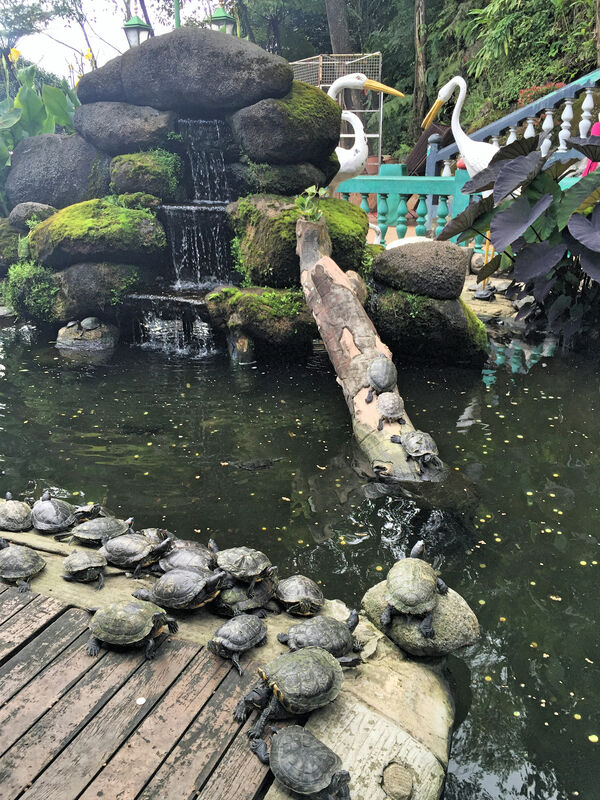 Outdoor pond with many turtles. 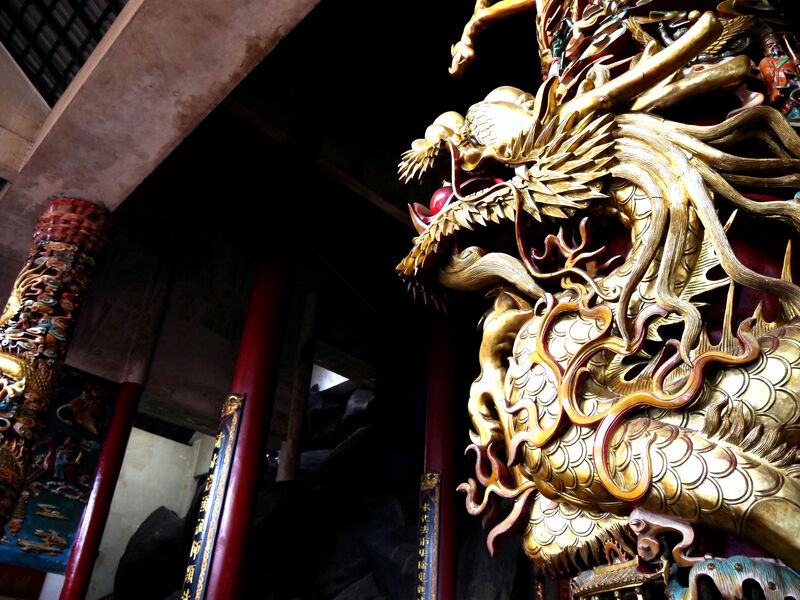 We headed to the Sky Terrace level to continue the temple tour. With the Sky Terrace arch & Pagoda behind us! Another shot at the courtyard & infront of the gigantic statue of Buddha (blocked in this photo). Beautiful environment on and around the temple grounds.Then we embarked on the route towards “Journey to Enlightenment” which is a rather similar experience to the local Singapore Haw Par Villa. Our guide explains that the journey is like a walk through hell followed by heaven. This is the part of the journey where people drink Meng Po Soup to forget their past life and head towards reincarnation – their next life. There are many scenic spots along the journey. Infront of another Sky Terrace arch. 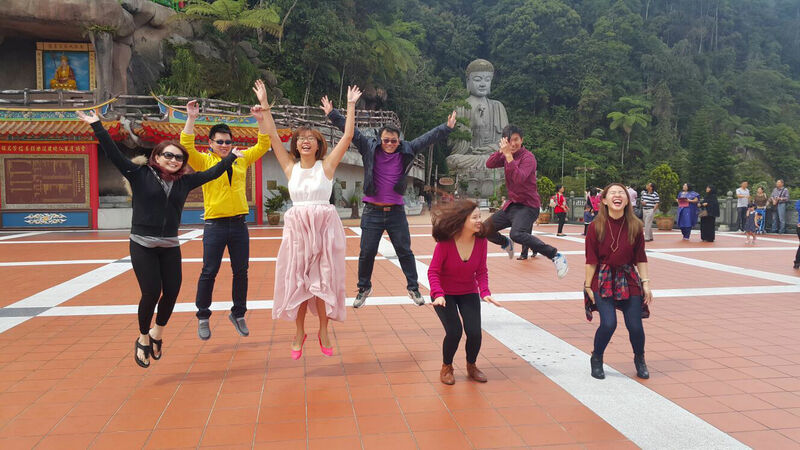 That’s how the #7Heavenbloggers came about! Cause we went through hell and emerged to heaven. Hahaha!!! 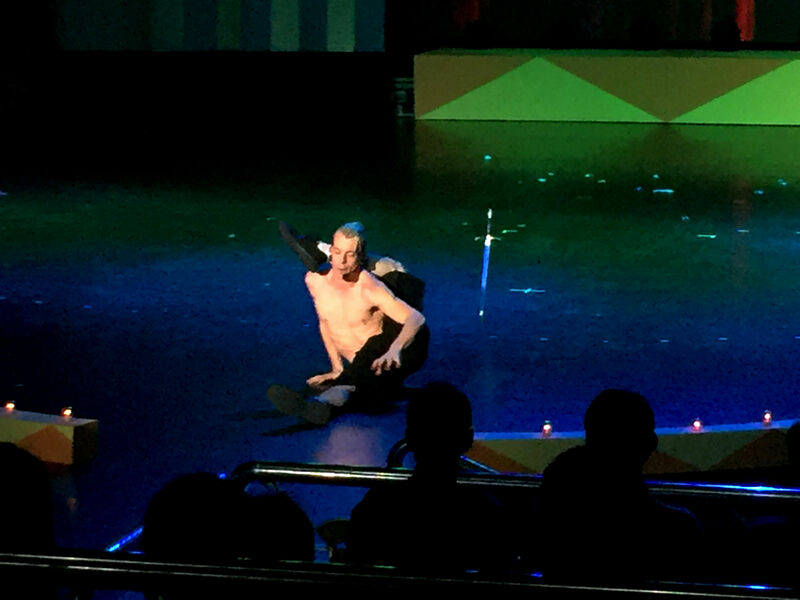 After the temple visit, we headed back to First World hotel for Ed Alonzo’s Psycho Circus of Magic & Mayhem! I won’t give a blow by blow account of what goes down in the show, I’ll just share some of the exciting parts! The show starts with a dance and there will be many along the way. As the title of the show goes, it’s a Psycho Circus of Magic & Mayhem, so you never really know what to expect and there are many surprises along the way. So it’s exciting to seat, watch and wonder what is the next crazy thing to expect! 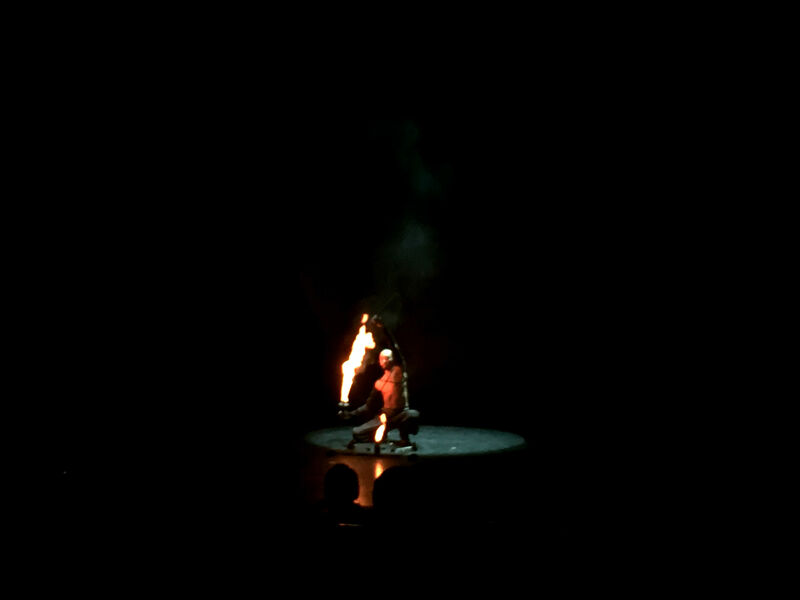 Crazy things like this magic act of swopping out the dancer in the plastic wrappings to the little boy from the audience. You can watch the snippet in my video which I will embed at the end of this post! And crazy acts like Ed Alonzo disappearing from the stage and immediately reappearing in the middle of the audience, which is the exact row where I/we were seated!! And this part was particularly hilarious, Alonzo got a man from the audience and proceeded to burst balloons located all around him. He used a knife to burst the last balloon below his crotch! Ed Alonzo’s Psycho Circus brings the best of magic & mayhem to the audience, which is visible from the attractive cast, visually pleasing props, setting & outfits to very crazy and impressive supporting performers. 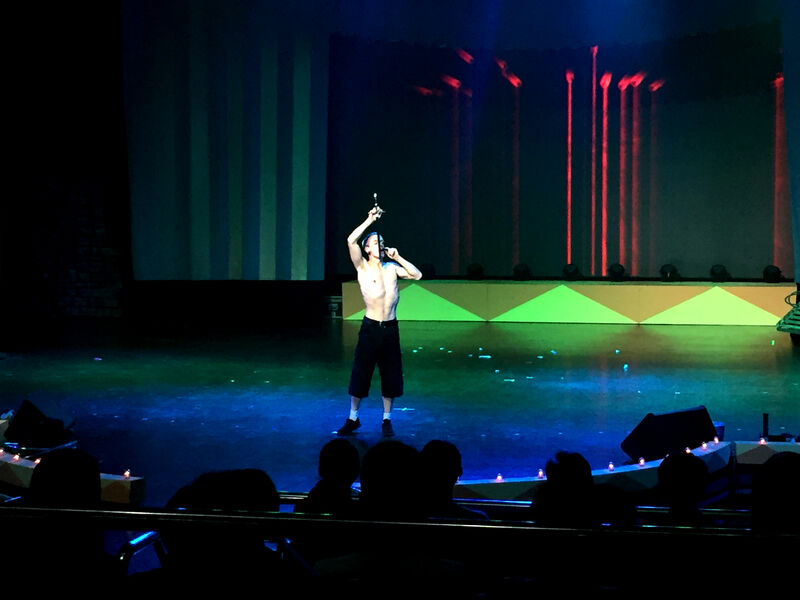 From 7 Nov 2015 to 13 March 2016, catch Ed Alonzo’s Psycho Circus show, tickets starting from RM88 to RM134.50, you can buy your tickets here. 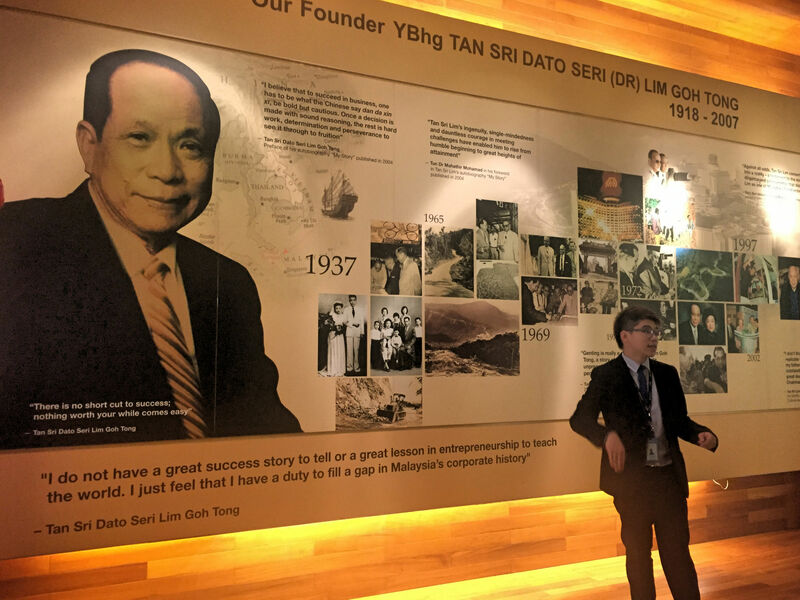 After the performance, we headed to the visitor center where we learnt from Eric about the founder and the history of Resorts World Genting. You can read a summary from this site. 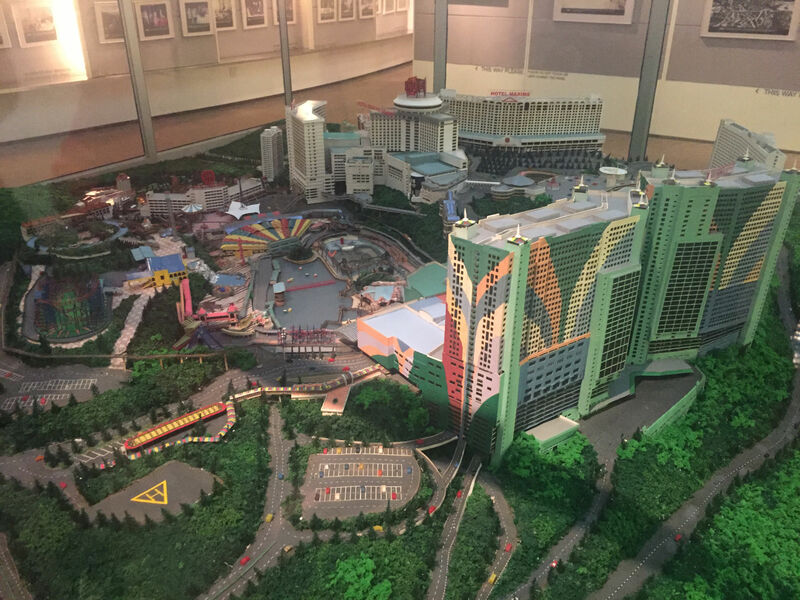 A model of Genting highlands, which would require an update when all the new developments open next year! The stunning new Sky Avenue is nestled right in the heart of the refreshed Resorts World Genting, with easy access from all adjoining hotels and leisure attractions. This brand new centre offers a complete and balanced retail mix with 165 retail and F&B lots ranging from 500 sq ft to 15,700 sq ft.
I’m sure I’m not the only one looking forward to this Sky Avenue! 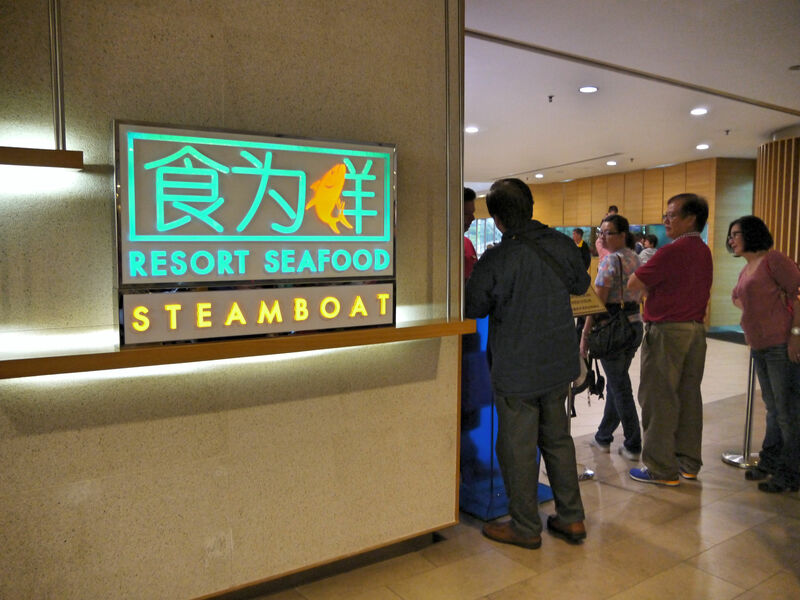 For dinner, we headed to Resort Seafood for seafood steamboat! Recommended plum ice blended drink! Its sweet, sour and very refreshing. We love it! What I like about the dinner is the fresh ingredients with big portions and variety. For more information & prices, visit their site here. After dinner, we headed to First World Plaza for some shopping! The First World Plaza has got to be the coolest, if not highest (like literally, hahaha) shopping destination in Malaysia. 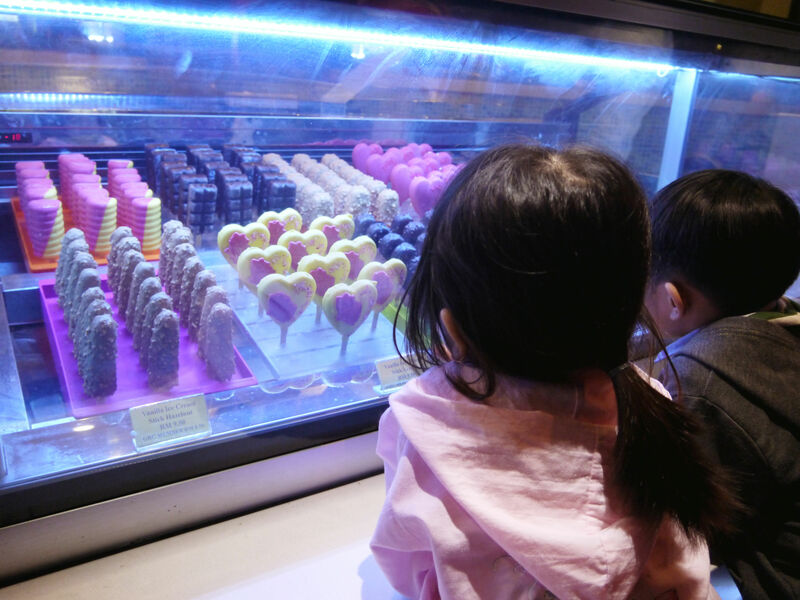 There are more than 40 Retail and 25 F&B outlets plus attractions for all ages! For more information, visit here. Didn’t take many photos while shopping, except for this one at the Nike Outlet store, haha. Shops located at Level T2 will open until 12 midnight. If my make up is not very well done, it probably is, plus puffy eyes because I didn’t have enough sleep, hahaha. 😛 Caught up with Chiu Yen, her BF & Warrick at the lobby. After breakfast, we headed to the last and final stop of our trip, the ITALGElato ice cream shop! ITALGElato Head Chef and mini stick ice cream. 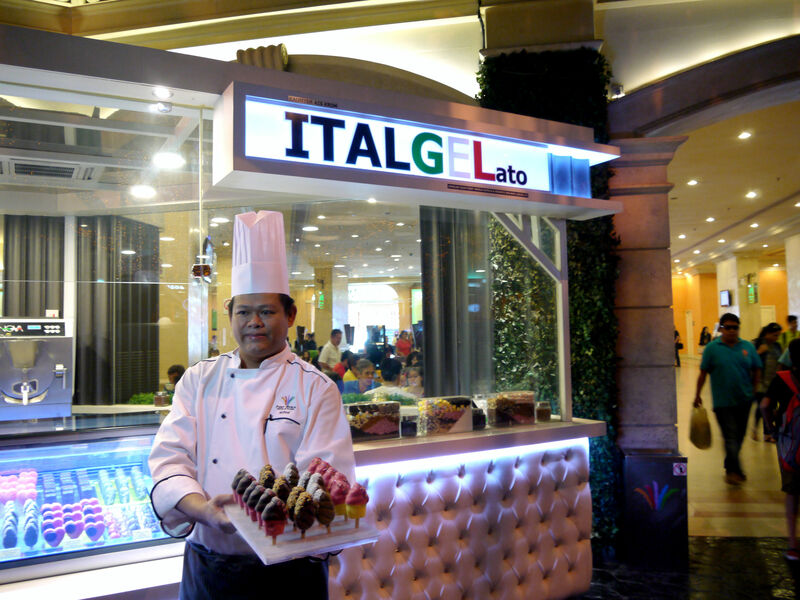 ITALGElato is Resorts World Genting’s in house original gelato brand, which makes them the only resort with such a claim. Edward Holloway, the resort’s Senior Vice President of Hotel Operations first came up with the idea of the resort’s own ice cream brand. It started as his team and him were brainstorming concepts for the new theme park and researching how to achieve a perfect Italian gelato in Malaysia. 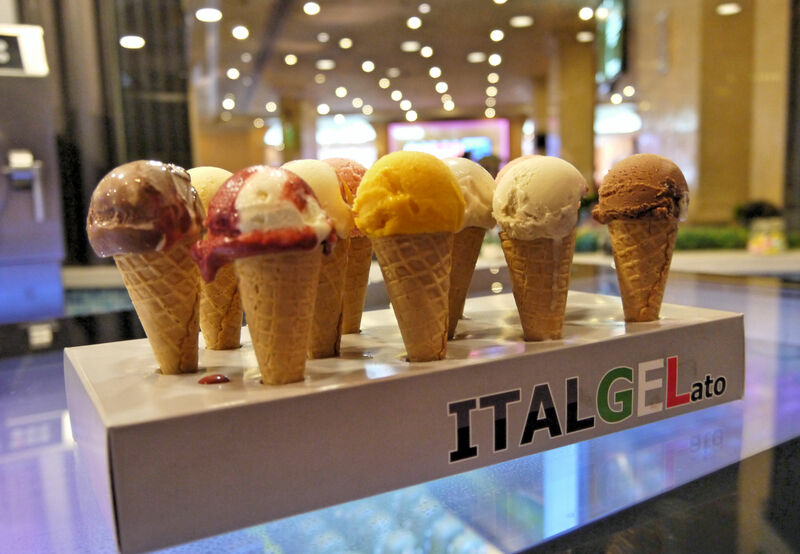 The innovation team then dived into the processes and came up with ITALGElato. The first stall was started for fun during the school holidays and they now have 4 stores and growing. The booth we visited is at Genting First World Lobby area. There are 21 flavours available. I love the red velvet flavour, it’s tastes like the red velvet cake but in ice cream. 🙂 The must try signature flavours are Dark Chocolate & Orange Cheese Cake. Their Mango flavour is made with the best grade Alfonzo mangoes and I am not a major mango fan (don’t love it, neither do I hate it) but this tastes great! 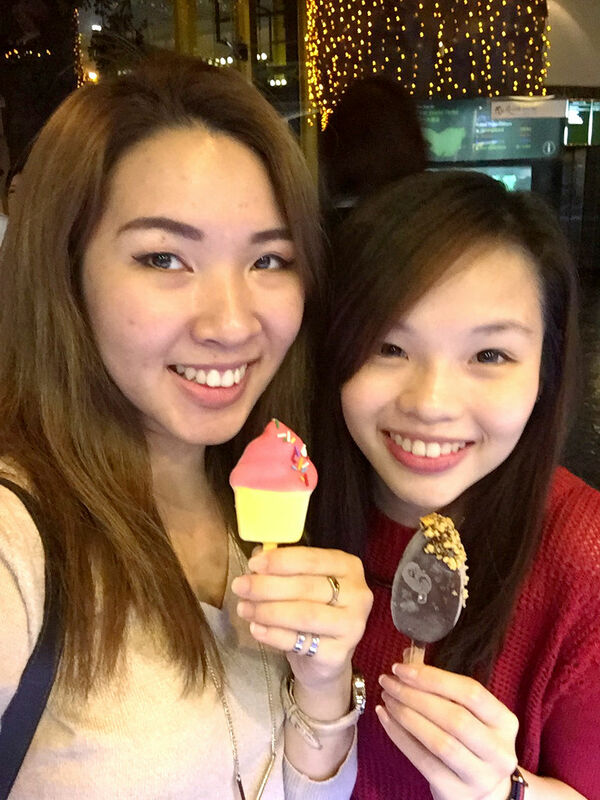 Ice creams are sold at RM9.50 for one flavour, RM19 for two flavours, RM28.50 for three flavours and RM38.00 for four flavours. 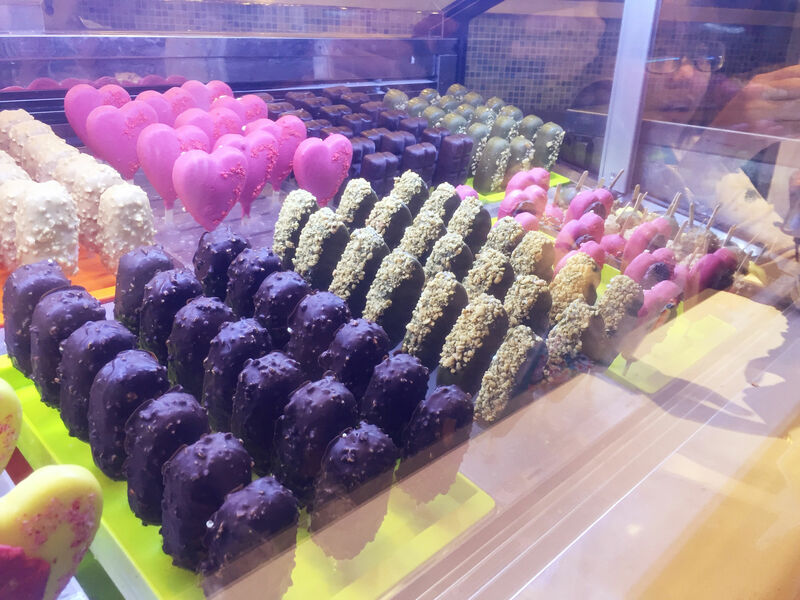 The Stick Ice Cream come in 5 flavours, lemon, hazelnut, pistachio, strawberry and Gianduja (Chocolate and hazelnut), priced at RM9.50 for sticks and RM7.50 for minou (smaller sticks). These special sticks have jam inside! I love these. Chef demonstrated how to coat the sticks with coloured sugar & decorate them. 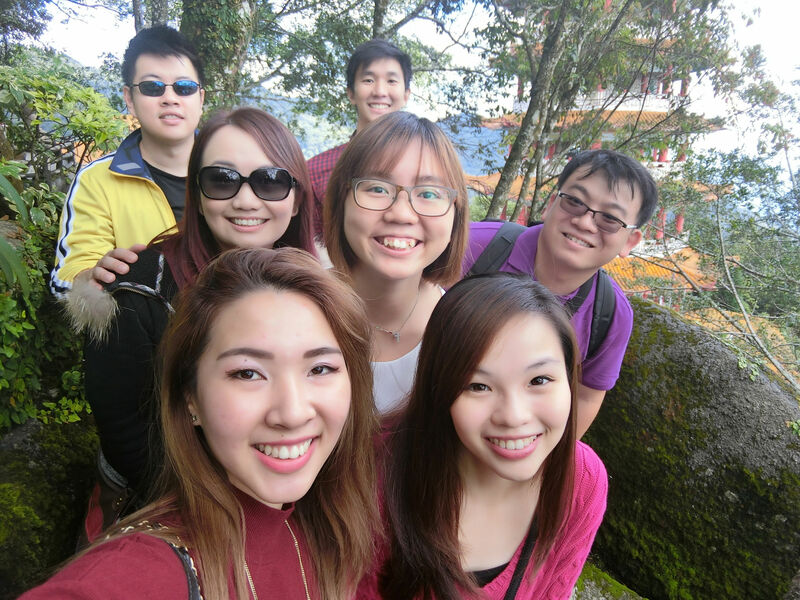 Before leaving RWGenting, we took more group shots! Followed by our natural friendly smiles. Really thank God that everyone was so friendly and easy to get along! 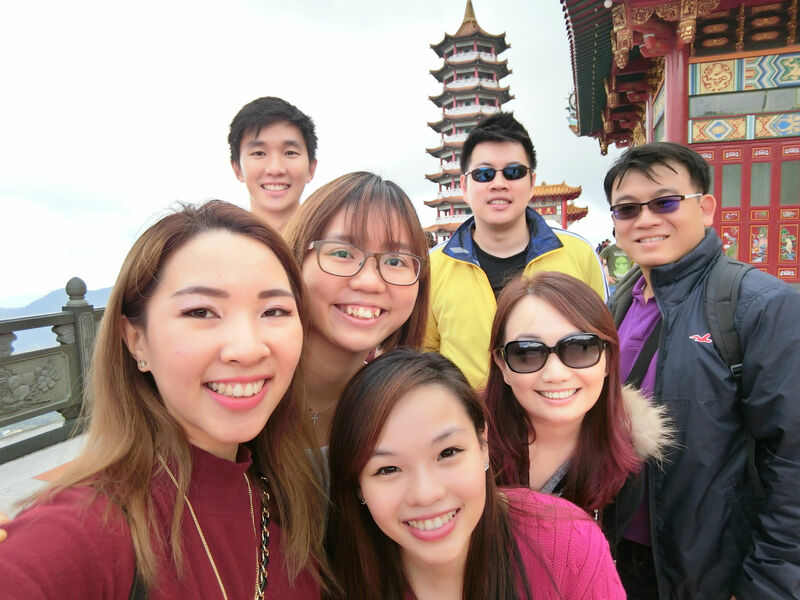 ^^ Thanks to Eric, Wei En & the team from RWGenting for taking such good care of us during the trip! I opted for the ChocolatePeanut Mixed flavour, RM4.50. 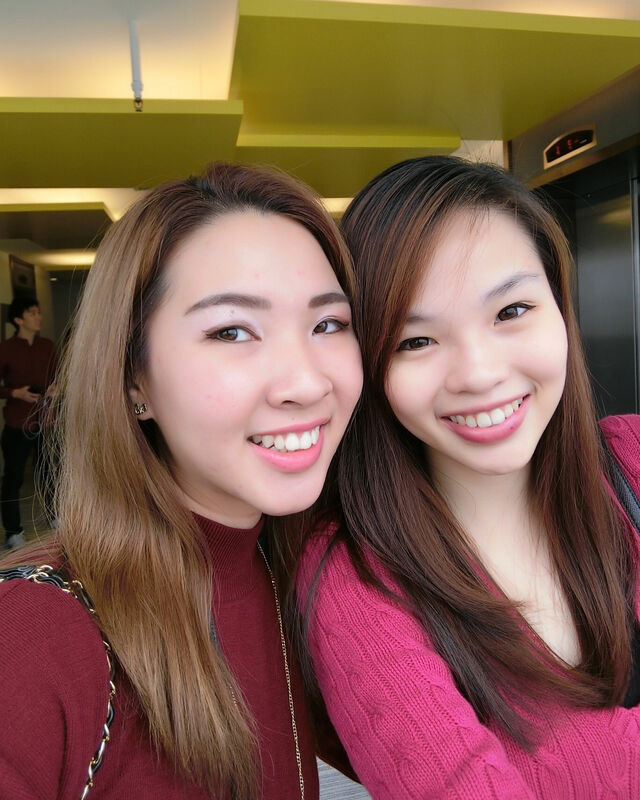 Thank you RWGenting for having us and hosting us for such a fun weekend! 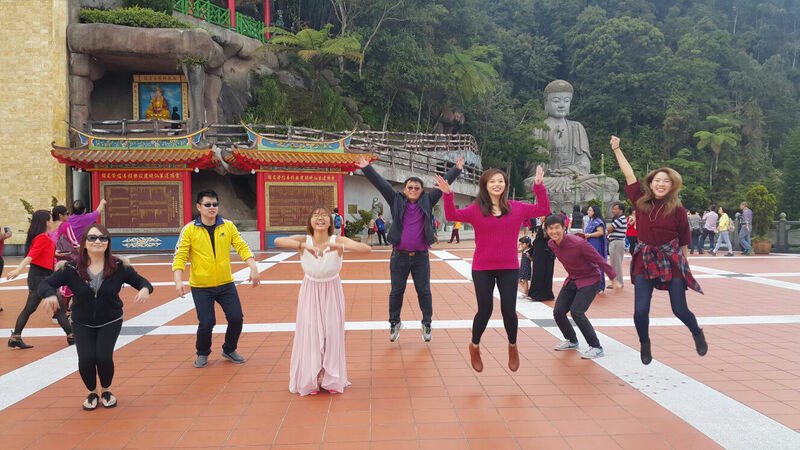 Now’s your turn to grab your family, friends & loved ones and plan for your next fun trip to Genting!